Christmas is an evocative time of year. 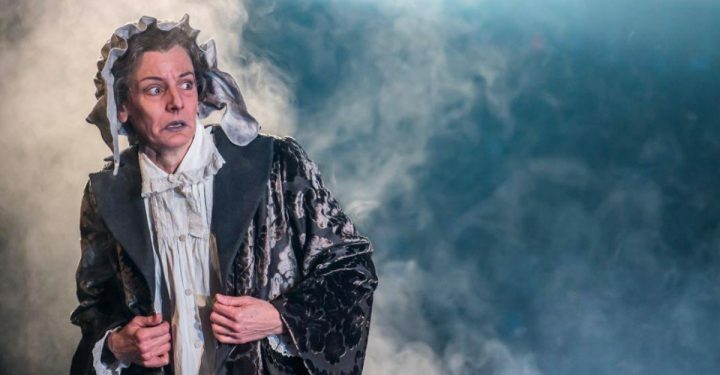 The rousing production of “A Christmas Carol” at the Grand Theatre directed by Dennis Garnhum, is filled with impressive moments of Christmas past, present and future. 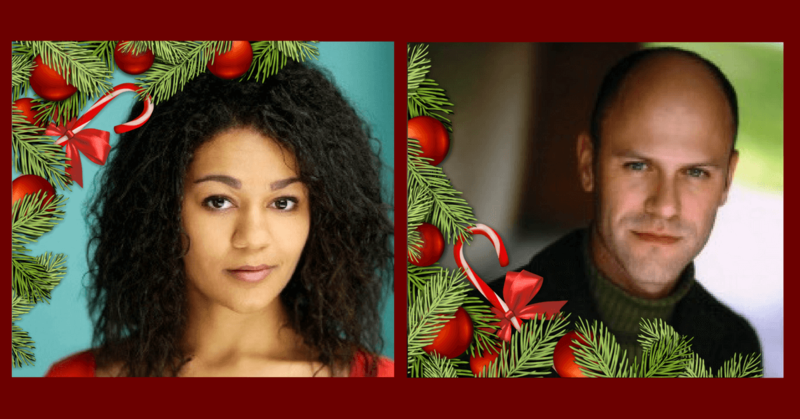 In the spirit of the season I asked two of the show’s cast, Alexis Gordon (Belle) and Sean Arbuckle (Bob Crachit), who were last seen in “Guys and Dolls” at the Stratford Festival, to share some of their most memorable Christmas memories. 1 – At Christmas my mother would always….cook a South Carolina Low Country favourite: shrimp and grits. This is a relatively new tradition, but one I’ve been happy to bring up with me and continue in Canada. 2 – I once spent Christmas in… in Las Vegas. Mom`s idea. Christmas trees by the slot machines. 3 – “The Little Drummer Boy”… is the song that always fills my heart with the spirit of Christmas. To me, it’s particularly meaningful for artists: despite poverty, artists can give of themselves and their talents gifts worthy of the appreciation and approval of a newborn King. Listening to a group of schoolchildren in choir robes singing this song in French, lined up on a staircase inside the Chateau Frontenac is one of my favourite Christmas memories. 4 – Spending a bit too much on lights, garlands, and bows to decorate the front porch … is my favorite Christmas guilty pleasure. 5 – This time of year makes me think of people who… move heaven and earth to be with their families no matter how far away they are, even if it can only be for the day. 6 – If the ghost of Christmas past visited me one night, it would remind me… of the after-school evenings spent dressed in a snowmobile suit helping my family sell Christmas trees from my grandfather’s farm. And selling pine cones decorated with glitter as a side business. 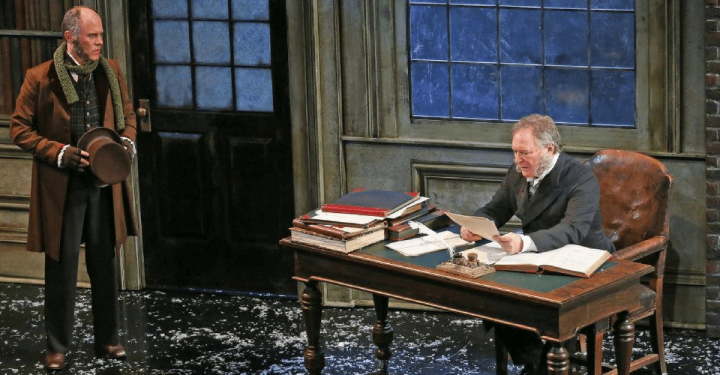 1 – At Christmas my mother would always…. host family Christmas dinner for the entire side of her family. We have around 20-25 people total! A tradition we still keep up, even as babies are added or couples go off to other sides of the family some years. And my mother always makes a “cheese ball” for lunch, before all the family comes over, which is one of my favourite treats! 2 – I once spent Christmas in… No seriously, every single one of my 27 years, we have done the above haha! 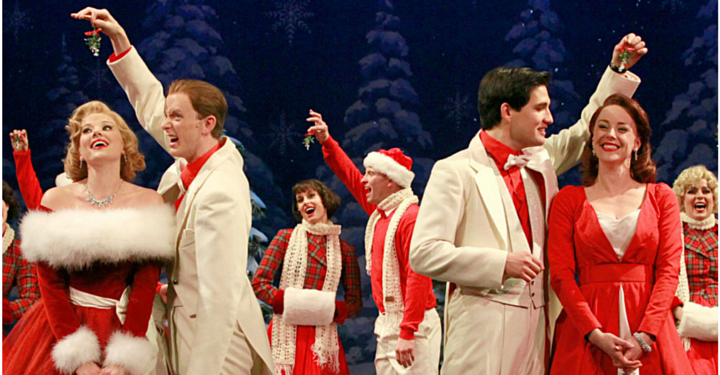 3 – “White Christmas” sung by Bing Crosby … is the song that always fills my heart with the spirit of Christmas. It’s a tradition for my mom, grandma and I to watch “White Christmas” together every year. We also used to watch “The Sound of Music,” but after I did the show at The Stratford Festival in 2015 (doing 105 shows by the end!) we stopped watching the movie so often. 4 – Ferrero Rocher…. is my favorite Christmas guilty pleasure. There are always little boxes of it in my stocking and/or around the house. I remember when I was younger eating it first thing in the morning and having an upset stomach all Christmas Day! 5 – This time of year makes me think of people who…don’t actually celebrate Christmas, so I always think on how to translate my celebration to them through kindness instead. Christmas to me means family time, not presents. So if I can share kindness to those who aren’t celebrating anything, or don’t have a family to celebrate with, I find it a nice way to keep the spirit of the season going around. 6 – If the ghost of Christmas past visited me one night, it would remind me… That one year, my brother opened all of his presents the night before Christmas because he didn’t want to wait until Christmas Day. The next morning he wouldn’t even get out of bed because “Christmas was ruined” by his impatience. My mom taught us through that, that some things are worth waiting for and to have patience. But also that Christmas is more than just about presents, it’s about family and spending time together – and yummy food! Share Your Christmas Memories Below or Share These on Facebook. 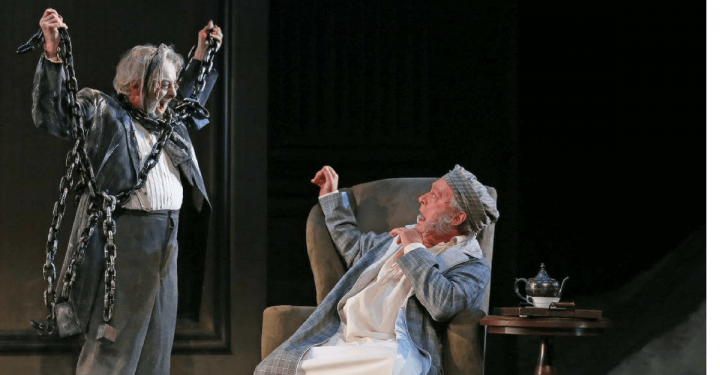 Click below for reviews of “A Christmas Carol” at the Grand.